Campaigner is run by j2 Cloud Services, Inc. The company offers internet services and via two divisions: Business Cloud Services and Digital Media. Their Business Cloud Services provides email marketing, email hosting, internet fax, CRM solutions and more. Their Digital Division focuses on providing technology, gaming and lifestyle content. Campaigner is an email marketing platform designed and built by professional marketers. They aim to help all small to large scale businesses establish customer rapport and increase revenues. Their email marketing solution includes email campaign creations, contact list management, email segmentation tools and more. Campaigner has over 800 email templates available in their email marketing features. You can create your own templates or you can choose from their pre-made template list. These templates are divided into different themes such as holidays, business, invitations, promotions, etc. You can personalize these templates using html to make it more appropriate to your campaign. Segmentation – Their segmentation system allows clients to reach their contacts and deliver emails in a more efficient and successful manner. A/B Split Testing – Gain insights as to which campaign will get you more revenues by looking into your subscribers actions. Email Reporting – Track your email campaigns and analyze email clicks, bounce rates, deliverability and more. Autoresponders – Let’s you send emails according to schedule or subscriber actions. Email Workflows – Let’s you target and send email campaigns accordingly with regards to time, event and action. SMTP Relay – Allows you to track your emails and integrate promotional campaigns to make your messages more effectively and drive revenue via these campaigns. Contact List – Grow your contact list. You can import customers in bulk to your contact list and increase subscriptions with custom web forms and more. Email Templates – They have 800+ templates that are easily customizable. Campaigner has multiple offers: Campaigner offers multiple contact pricing plans to accommodate different sending needs. Does Campaigner have a FREE PLAN? No. Campaigner does not offer a free plan. Does Campaigner have a FREE TRIAL? Yes. Campaigner offers a free trial for 30 days. 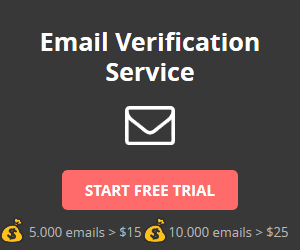 You can test Campaigner’s email marketing service for 30 days. No charges, no fees and you can cancel anytime. Does Campaigner offer an API? Yes. Campaigner offers an API. Campaigner has APIs as an advanced feature in their email marketing platform. All Campaigner users can use these APIs. Does Campaigner offer an official WordPress plugin? No, Campaigner does not have an official WordPress plugin. However, there are a few WordPress plugins that you can incorporate with Campaigner.